Rollover accidents are not rare. In fact, there are roughly 190,000 of them in the US every year. Severe injuries from car crashes are quite common. When you focus specifically on accidents where a car rolls over onto its side or roof, the frequency of injury rises significantly. This makes sense, considering what it takes for a vehicle to roll over and how dangerous of a situation an accident becomes once it does. If you are every involved in a rollover crash, the stakes of your car accident claim and potential lawsuit are going to be very high. In this case, you will definitely benefit from seeking the free advice of an experienced St. Louis car accident lawyer. Of course, the best case scenario is to avoid an accident entirely. To increase your chances of doing so, follow our tips below. While this will not necessarily protect you from a rolling over crash occuring, it could save your life in the event of one happening. One of the things that makes rollover accidents so lethal is the fact that many people do not wear their seat belts. When the car rolls, they put themselves at considerable risk. 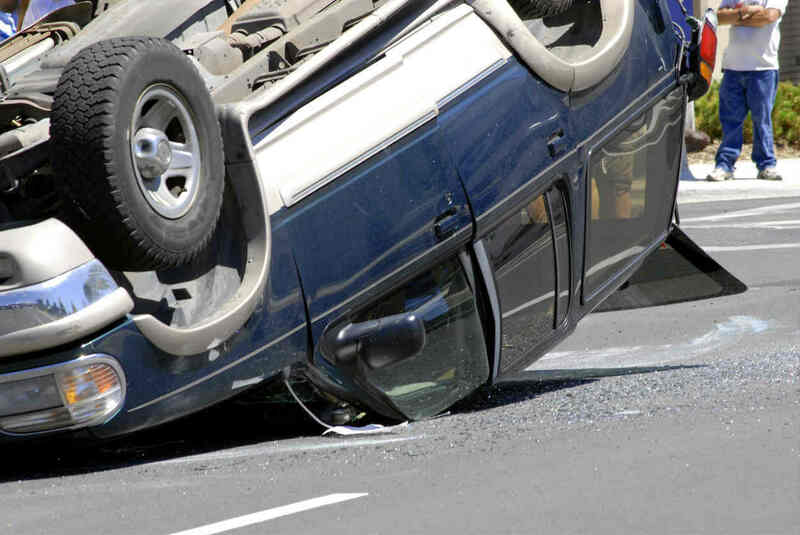 Most rollover crashes come from people making a sharp turn at high speeds. This can happen because of reckless driving, or it can be a responsible driver who doesn’t realize they need to turn until the last minute. Either way, making a turn at high speeds is not worth it. You don’t need to choose your vehicle with solely car safety in mind, but it should be a factor. Cars that are high off of the ground are more likely to roll, so if you can, choose one that has a lower center of gravity. When one tire is under or over inflated, your car becomes unbalanced. This might seem like a trivial issue, but when you take a sharp turn, it is not. Unbalanced vehicles are much more susceptible to rolling. To prevent this, check your tire pressure regularly and adjust it if you need to. When a driver decides to get drunk, they lose a considerable amount of concentration, judgment, and reaction time. This careless state is much more likely to produce a rollover incident. Be sure not to drive if you have consumed alcohol, done drugs, or taken certain medications. Sometimes it’s the car in front of you that rolls over. In this case, you don’t want to hit that car because you were following too closely. A generous following distance allows you the time to hit the brakes or make an evasive maneuver. Rollover accidents are not rare. In fact, there are roughly 190,000 of them in the US every year. If that doesn’t scare you, then maybe how dangerous they are will. Even though they account for only 2.1% of car accidents, they claim 35% of car accident deaths. Knowing these statistics, it is best for you to do everything you can to avoid these types of crashes. If you ever do get into one, give us a call 24/7 at (314) 361-4242 for FREE legal advice.